Namik Paul,Donal Bisht,Vikram Singh,Amar Upadhyay,Jaswinder Gardner. 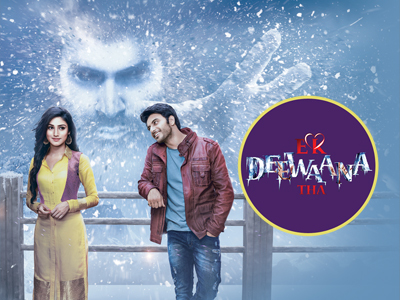 Set in the beauty of the hills, Ek Deewaana Tha follows the story of Sharanya who wakes up from a coma after a period of two years. Her recovery comes at the cost of her suffering from amnesia because of which she is unable to recall her relationship with Vyom, the man she was going to marry. Sharanya and Vyom rediscover their love for each other and decide to get married. However, their marriage faces obstacles at each step. As they battle through these barriers they discover that these are not random acts but the acts of a ghost…a ghost who Sharanya recognizes to be that of Shiv. Will Sharanya and Vyom conquer this supernatural force or is there something more?